Mr Hugh Chow has been appointed as the Chief Executive Officer of ASTRI, effective 15 January 2018. 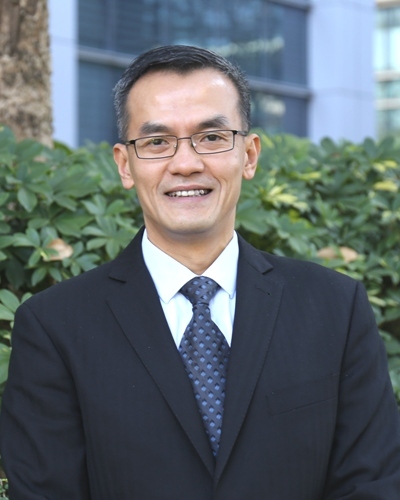 A veteran of nearly 25 years in the technology landscape, Mr Chow has extensive experience of executive and engineering management holding senior roles in private and public companies. A Hong Kong native, Mr Chow started his professional career in Canada in 1993. He gained rich international experience particularly in North America and in Greater China. Mr Chow has vast experience, leadership strength and track record in general management, covering finance, operations and R&D roles in start-ups as well as large organisations in the technology sector. Having served in a number of senior engineering and management positions for several years, he co-founded ViXS Systems Inc. in 2001, where he served as Vice President, Chief Operating Officer, Interim President and CEO. He led the expansion of ViXS into the US, Europe and Asia, including the establishment of an R&D centre in Hong Kong Science Park in 2007, and took the company public in 2013. In late 2016, he co-founded Pool Global Partners Inc., a venture capital investment firm specialising in artificial intelligence, big data and digital health, etc., and served as the Managing Partner. Mr Chow is an inventor for more than 10 US patents. He attained Hong Kong Canada Business Achievement Award in 2014 and the ACCE International Business Entrepreneur Award in 2007. Mr Chow holds a Bachelor of Science degree in Electrical Engineering from the University of Hong Kong, and a Master of Science degree in Electrical Engineering from the University of Colorado in the United States. Mr Chow is also a Transport Canada licensed pilot, a marathoner and an Ironman triathlete.